Gov. 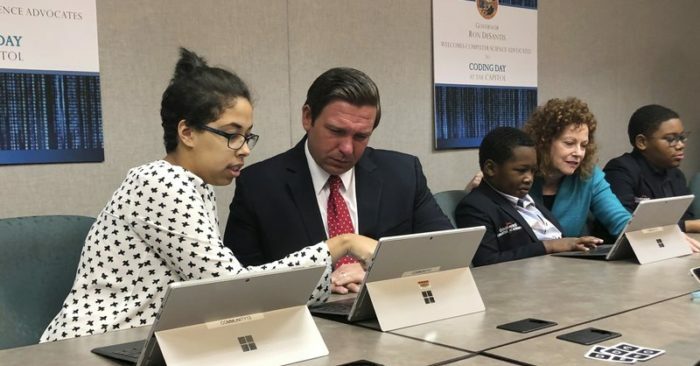 Ron DeSantis got a little bit of schooling on coding and computer science. DeSantis said nearly every business, government entity or other enterprise in Florida has some technology component. Microsoft Corp. executives who staged Tuesday’s event said there are about 8,000 open computer and data science jobs in Florida.